Here we use a combination of global convection-permitting models, satellite observations and the Holuhraun volcanic eruption to demonstrate that aerosol enhances the cloud liquid content and brightness of midlatitude cyclones. This is important because the strength of anthropogenic radiative forcing is uncertain, leading to uncertainty in the climate sensitivity consistent with observed temperature record. The response of low clouds to climate change (i.e., cloud feedbacks) is still pointed out as being the largest source of uncertainty in climate models. Here we use CALIPSO observations to discriminate climate models that reproduce observed interannual change of cloud fraction with SST forcings, referred to as a present-day cloud feedback. Modeling moist processes in the planetary boundary layer is crucial to produce large stratocumulus decks and realistic present-day cloud feedbacks. The Atmospheric Infrared Sounder (AIRS) satellite instrument shows statistically significant global trends in ice cloud properties between September 2002 and August 2016. The trends are not explained by known AIRS instrument limitations. Significant differences in the ice cloud particle size is found between convective clouds and thin ice clouds in the tropics. These results will be a useful benchmark for other studies of global ice cloud properties. In this study, we simulate the ultraviolet radiation evolution during the 21st century on Earth's surface using the output from several numerical models which participated in the Chemistry-Climate Model Initiative. We present four possible futures which depend on greenhouse gases emissions. The role of ozone-depleting substances, greenhouse gases and aerosols are investigated. Our results emphasize the important role of aerosols for future ultraviolet radiation in the Northern Hemisphere. 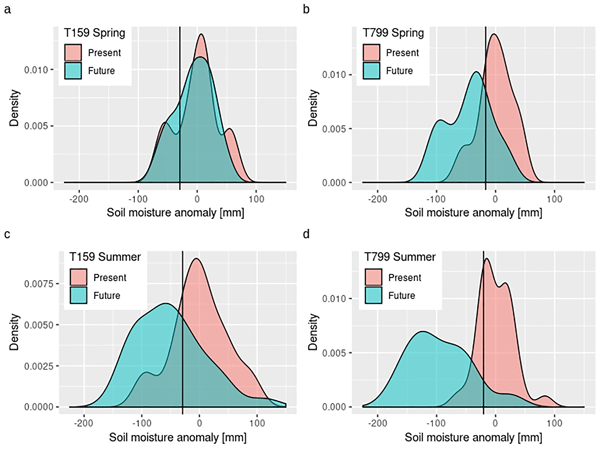 Climate simulations are evaluated for their ability to reproduce year-to-year variability of precipitation over China. Mean precipitation and variability are too high in all simulations but improve with finer resolution and coupling. Simulations reproduce the observed spatial patterns of rainfall variability. However, not all of these patterns are associated with observed mechanisms. For example, simulations do not reproduce summer rainfall along the Yangtze valley in response to El Niño. This study presents a framework for examining the causes of model errors in Arctic sea ice volume, which due to recent rapid sea ice loss is a variable whose projections attract much interest. 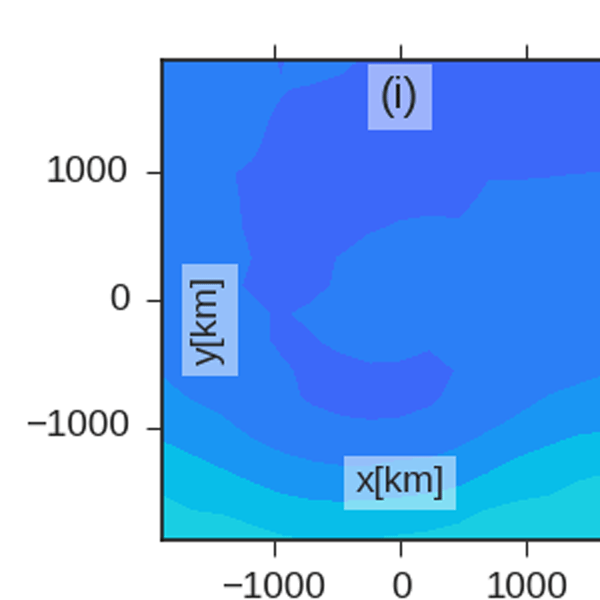 Simple models are used to estimate the error in energy arriving at the ice surface due to model errors in quantities that affect the surface energy fluxes. This method shows that sea ice errors in HadGEM2-ES are likely due to errors in surface melt onset timing, and in winter downward longwave radiation. The distribution of ice and liquid particles in clouds (i.e., their thermodynamic phase) has a large impact on Earth's climate. We report a global high spatial resolution survey of cloud phase based on a decade of data from the Hyperion orbital imaging spectrometer. Seasonal and latitudinal trends corroborate observations by the Atmospheric Infrared Sounder (AIRS). Most variance observed at climate model grid scales of 100 km is explained by spatial structure at finer spatial resolutions. This paper presents a new interactive scheme for ocean surface albedo suited for the current generation of Earth system models. This scheme computes the ocean surface albedo accounting for the spectral dependence (across a range of wavelengths between 200 and 4000 nm), the characteristics of incident solar radiation (direct of diffuse), the effects of surface winds, chlorophyll content and whitecaps in addition to the canonical solar zenith angle dependence. This paper introduces a new version of diagnostic software (COSP2) intended to facilitate more straightforward comparisons between climate models and observational cloud datasets. This version allows users to more closely incorporate their own models assumptions within COSP, while also being computationally more efficient and straightforward for users to extend and build upon. Cloud feedback is the largest uncertainty associated with estimates of climate sensitivity. Diagnostics have been developed to evaluate cloud processes in climate models. For this understanding to be reflected in better estimates of cloud feedbacks, it is vital to continue to develop such tools and to exploit them fully during the model development process. Code repositories have been created to store and document the programs which will allow climate modellers to compute these diagnostics. The simulation of cloud is problematic for general circulation models. As clouds come in differing types, areal coverage, altitude and reflectivity, it is possible for a model to appear to perform well against a particular observational dataset through a compensation of errors. Here we evaluate a model's cloud simulation against a range of observational datasets, globally and across weather–climate timescales, in order to provide a comprehensive assessment. We used a weather model to simulate low-level layer clouds that lie off the coast of Chile and tested how they would be affected by airborne particulate matter (aerosols) according to the model. We found that as aerosols were increased, the clouds reflected more and more of the sun’s incoming energy due to the combined effects of the cloud droplets becoming smaller, the thickening of clouds, and increased areal coverage. However, the latter two effects were only important at low aerosol levels. A convection-permitting limited area model with prognostic aerosol microphysics is applied to investigate how concentrations of cloud condensation nuclei (CCN) in the marine boundary layer are affected by high-resolution dynamical and thermodynamic fields at sub-climate model scale. We gain new insight into the way primary sea-salt and secondary sulfate particles contribute to the overall CCN variance, and find a marked difference in the variability of super- and sub-micron CCN. We present a review of the make-up of 20 models participating in the Chemistry–Climate Model Initiative (CCMI). In comparison to earlier such activities, most of these models comprise a whole-atmosphere chemistry, and several of them include an interactive ocean module. This makes them suitable for studying the interactions of tropospheric air quality, stratospheric ozone, and climate. The paper lays the foundation for other studies using the CCMI simulations for scientific analysis. We examine the impact in a coupled model of increasing atmosphere and ocean horizontal resolution and the frequency of coupling between the atmosphere and ocean. 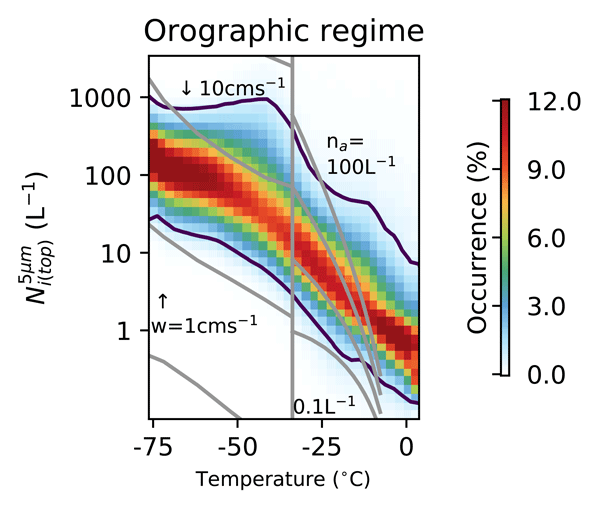 We demonstrate that increasing the ocean resolution from 1/4 degree to 1/12 degree has a major impact on ocean circulation and global heat transports. The results add to the body of evidence suggesting that ocean resolution is an important consideration when developing coupled models for weather and climate applications. A new parametrization for cloud droplet nucleation is described. This revised approach makes use of a simple look-up table which is very efficient and computationally very cheap. Adopting this approach further allows for a more accurate treatment of the necessary approximations of supersaturation evolution and ultimately leads to a more accurate calculation of peak supersaturation and hence droplet nucleation. Using satellite cloud products we investigate the distribution and variation of cloud occurrences in the Antarctic (60 °S–90 °S), and more particularly of the supercooled liquid water (SLW). In distinguishing between pure SLW and SLW mixed with ice we pin down unreported variations of low-level mixed-phase clouds so far, which point to the role of biological emissions, in addition to the atmospheric temperature and the sea ice fraction, as driver of the seasonal cycle of mixed-phase clouds. This paper looks at a 17 year database of echo top heights of thunderstorms in Darwin retrieved by CPOL. We find that the echo top heights are generally bimodal, corresponding to cumulus congestus and deep convection, and show a greater bimodality during an inactive MJO. Furthermore, we find that convective cell areas are larger in break conditions compared to monsoon conditions, but only during MJO-inactive conditions. We present a new approach to evaluate ERA-Interim reanalysis clouds using satellite observations. A simplified satellite simulator was developed that uses reanalysis fields to emulate clouds as they would have been seen by those satellite sensors which were used to compose Cloud_cci observational cloud datasets. Our study facilitates an adequate evaluation of modelled ERA-Interim clouds using observational datasets, also taking into account systematic uncertainties in the observations. To realistically model a changing climate, global measurements of cirrus cloud ice-particle number concentration (N) and size (De) are needed, through which one may infer the general mechanism of ice formation. A satellite remote sensing method was developed to measure N and De. It was found that N was highest and De lowest at high latitudes. In the Arctic, cirrus clouds occurred much more often during winter, which may have an impact on mid-latitude winter weather. This study separates the influence of aerosol on cloud properties in the southeast Atlantic region from meteorological conditions in the biomass-burning season. Machine learning is used to link 8-day-averaged satellite and reanalysis data sets. Distinct regimes of aerosol–cloud interactions are identified in the subregions of the southeast Atlantic based on the obtained sensitivities. The concentration of ice crystals in a cloud affects both the properties and the life cycle of the cloud. This work uses a new satellite retrieval to investigate controls on the ice crystal concentration at a global scale. Both temperature and vertical wind speed in a cloud have a strong impact on the concentration of ice crystals. The ice crystal number is also related to the aerosol environment; defining this relation opens up new ways to investigate human impacts on clouds and the climate. We compared the microphysical properties of South Atlantic stratocumulus (Sc) from three different satellite instruments (SEVIRI, TMI, MODIS). The liquid water path (LWP) and its diurnal cycle from the three datasets agreed very well in overcast, smoke-free scenes. LWP showed a decrease from an early morning peak to a late afternoon minimum, after which it increased until morning. The presence of smoke aloft Sc, however, negatively biased the LWP retrieved by the visible/near-infrared technique. 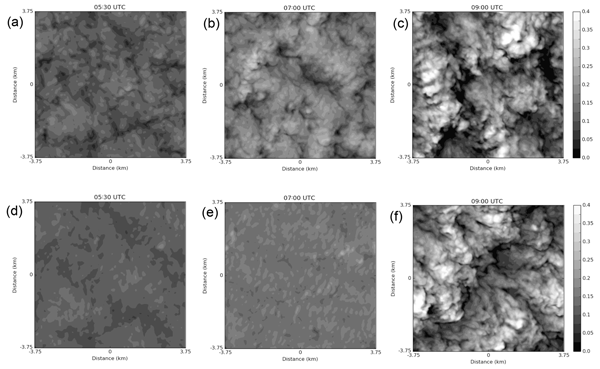 This paper presents the impact of cirrus cloud heterogeneities and 3-D effects on TOA solar reflectances from 50 m to 10 km spatial resolutions. We have shown that these effects are strongly dependent on spatial resolution as well as solar and viewing geometries and that it is difficult to find an optimal spatial resolution minimizing these various effects. In this paper we have assessed the positive difference observed between radio-occultation-retrieved refractivity and that of weather analyses and reanalyses when heavy precipitation is present. The impact of the precipitation media on the refractivity observable has been evaluated, showing that precipitation itself cannot explain the magnitude of the observed difference. Instead, the difference is shown to be linked to high specific-humidity conditions, which in turn are linked to rain. Ice cloud mass is assessed on a global scale using the latest satellite and reanalysis datasets. While ice cloud variability driven by large-scale circulations is an area of relative consensus, models and observations disagree strongly on the overall magnitude and finer-scale variability of atmospheric ice mass. The results reflect limitations of the current Earth observing system and indicate ice microphysical assumptions as the likely culprit of disagreement. Clouds in the Ross Sea and Ross Ice Shelf regions are examined using a combination of satellite observations from the CloudSat and CALIPSO satellite datasets. We show that previous studies may have included an artefact at high altitudes which under-estimated cloud occurrence. We also find that the meteorological regime is a stronger control of cloud occurrence, cloud type and cloud top than season over this region, though season is a strong control on the phase of cloud. From 3 years of observations from the CATS lidar on the International Space Station we document the daily cycle of the vertical distribution of clouds. This is the first time this is documented over several continents and oceans using finely resolved measurements on a near-global scale from a single instrument. We show that other instruments observing clouds from space, like CALIPSO, document extremes of the daily cycle over ocean and closer to the average over land. In this paper, particle fall streaks are analyzed to understand ice particle growth processes within precipitating mixed-phase cloud systems. The analysis is done by rearranging spectral polarimetric radar measurements along the retrieved fall streaks. Therefore, it is possible to identify and study the growth of single ice particle populations from the top to the bottom of the cloud system. The results show that such small scale processes can be analyzed using a precipitation radar. As a key component of the climate system, clouds have a significant influence on hydrological cycles and energy budgets. This study clarified the effects of sea surface temperature changes in the Kuroshio Current on the vertical structure of clouds (rainfall intensity, cloud geometrical thickness, and maximum radar reflectivity position) using CloudSat products. The Kuroshio influences not only the dynamical processes of the lower layer of the atmosphere but also the properties inside clouds. The accurate representation of cloud vertical overlap in atmospheric models is very important for predicting the total cloud cover and calculating the radiative budget. We propose a valid scheme for quantifying the degree of overlap over the Tibetan Plateau (TP). The new scheme parameterizes decorrelation length scale L as a function of wind shear and atmospheric stability and improves the simulation of total cloud cover over TP when the separations between cloud layers are greater than 1 km. The vertical profiles of convection in the Amazon are sampled using CloudSat, with particular emphasis on day–night contrast. Focusing on vigorous deep convective cores reveals a distinct, previously unreported double-arc reflectivity feature in the contoured frequency by altitude diagram, likely corresponding with two modes of ice hydrometeor phase: snow versus graupel/hail. Replicating this feature in cloud-resolving models requires further improvements in the microphysical parameterization. Cirrus clouds can form by a variety of mechanisms, such as orographic uplift, through convective systems or through large-scale rising motions. In this work, an automated classification of cirrus clouds based on satellite and reanalysis data is presented to separate cirrus by these different formation mechanisms. 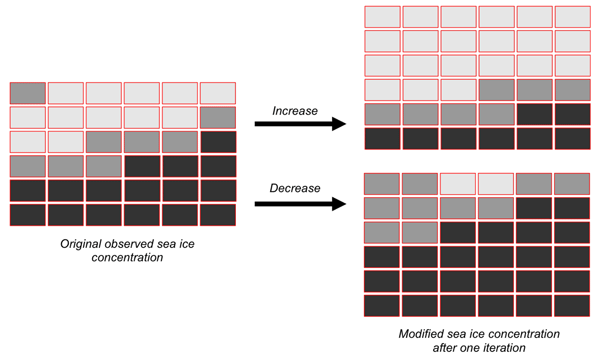 The classification provides information on the ice origin and cloud-scale updraughts that could not be determined using satellite or reanalysis data alone. A novel method for classifying Arctic precipitation using ground based remote sensors is presented. The classification reveals two distinct, primary regimes of precipitation over the central Greenland Ice Sheet: snowfall coupled to deep, fully glaciated ice clouds or to shallow, mixed-phase clouds. The ice clouds are associated with low-pressure storm systems from the southeast, while the mixed-phase clouds slowly propagate from the southwest along a quiescent flow. Ice production in atmospheric clouds is important for global water cycle and radiation budget. Active satellite remote sensing measurements are analyzed to quantitatively study primary ice particle production in stratiform mixed-phase clouds on a global scale. We quantify the geographic and seasonal variations of ice production and their correlations with aerosol, especially mineral dust activities. The results can be used to evaluate mixed-phased clouds simulations by global climate models. To what degree can precipitation be predicted given information about clouds? Or, conversely, with precipitation information at hand, can we provide good guesses about the clouds responsible? To answer these questions, we performed joint analysis of rainfall and cloud data, which are significantly decoupled. We find that only for the deepest and thickest clouds does cloud amount relate strongly with the intensity of rainfall, and that the details are different over oceans and land. The Amazon forest is the largest tropical rain forest on the planet, featuring prolific and diverse cloud conditions. The Observations and Modeling of the Green Ocean Amazon (GoAmazon2014/5) experiment was motivated by demands to gain a better understanding of aerosol and cloud interactions on climate and the global circulation. The routine DOE ARM observations from this 2-year campaign are summarized to help quantify controls on clouds and precipitation over this undersampled region. This study investigates the importance of snowflake surface-area-to-volume ratio (SAV) for the interpretation of snowfall triple-frequency radar signatures. The results indicate that snowflake SAV has a strong impact on modeled snowfall radar signatures and therefore may be used to further constrain (the large variety and high natural variability of) snowflake shape for snowfall remote sensing, e.g., to distinguish graupel snow from snowfall characterized by large aggregate snowflakes. Heating and cooling of fog layers by solar and terrestrial radiation influence the fog life cycle. We quantify these radiative impacts on fog liquid water using detailed cloud radar observations of seven fog events as well as sensitivity studies. We find that the impact of radiation is affected mainly by fog optical thickness, atmospheric humidity and the presence of clouds above the fog. Observing these quantities in real time can therefore be useful for forecasting fog dissipation. Cloud droplet number concentration is linked to air pollution levels via indirect aerosol effects. 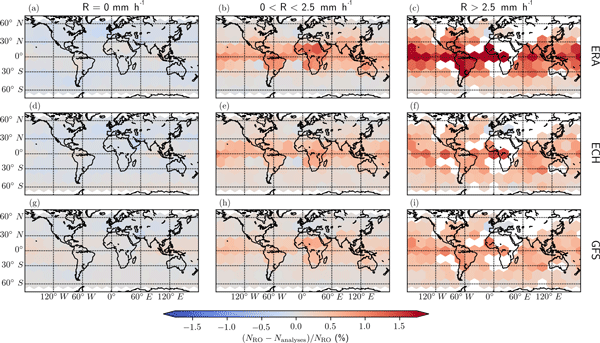 The climatological results presented here provide constraints on cloud droplet number concentration globally, thereby helping to evaluate global climate models and study the impact of pollution regionally and globally. A modified method with a new noise reduction scheme that can reduce the noise distribution to a narrow range is proposed to distinguish clouds and other hydrometeors from noise and recognize more features with weak signal in cloud radar observations. It was found that our method has significant advantages in reducing the rates of both failed negative and false positive hydrometeor identifications in simulated clouds and recognizing clouds with weak signal from our cloud radar observations. Variability of convective cloud spans a wide range of temporal and spatial scales and is important for global weather and climate. This study uses satellite data from SEVIRI to quantify the diurnal cycle of cloud top temperatures over a large area. Results indicate that in some regions the diurnal cycle apparent in the observations may be significantly impacted by diurnal variability in the accuracy of the retrieval. These results may interest both the observation and modelling communities. AIRS Science Team/Joao Texeira: AIRS/Aqua L2 Support Retrieval (AIRS + AMSU) V006, Goddard Earth Sciences Data and Information Services Center (GES DISC), Greenbelt, MD, USA, https://doi.org/10.5067/Aqua/AIRS/DATA207, 2013. Barnes, E. A. and Polvani, L.: Response of the Midlatitude Jets, and of Their Variability, to Increased Greenhouse Gases in the CMIP5 Models, J. Climate, 26, 7117–7135, https://doi.org/10.1175/jcli-d-12-00536.1, 2013. Beare, R. J.: Boundary layer mechanisms in extratropical cyclones, Q. J. Roy. Meteor. Soc., 133, 503–515, https://doi.org/10.1002/qj.30, 2007. Bender, F. A. M., Charlson, R. J., Ekman, A. M. L., and Leahy, L. V.: Quantification of Monthly Mean Regional-Scale Albedo of Marine Stratiform Clouds in Satellite Observations and GCMs, J. Appl. Meteorol. Clim., 50, 2139–2148, https://doi.org/10.1175/jamc-d-11-049.1, 2011a. Bender, F. A. M., Ramanathan, V., and Tselioudis, G.: Changes in extratropical storm track cloudiness 1983–2008: observational support for a poleward shift, Clim. Dynam., 38, 2037–2053, https://doi.org/10.1007/s00382-011-1065-6, 2011b. Bender, F. A. M., Engström, A., Wood, R., and Charlson, R. J.: Evaluation of Hemispheric Asymmetries in Marine Cloud Radiative Properties, J. Climate, 30, 4131–4147, https://doi.org/10.1175/JCLI-D-16-0263.1, 2017. Bengtsson, L., Hodges, K. I., and Keenlyside, N.: Will Extratropical Storms Intensify in a Warmer Climate?, J. Climate, 22, 2276–2301, https://doi.org/10.1175/2008jcli2678.1, 2009. Bennartz, R., Fan, J., Rausch, J., Leung, L. R., and Heidinger, A. K.: Pollution from China increases cloud droplet number, suppresses rain over the East China Sea, Geophys. Res. Lett., 38, L09704, https://doi.org/10.1029/2011gl047235, 2011. Betts, A. K. and Harshvardhan: Thermodynamic constraint on the cloud liquid water feedback in climate models, J. Geophys. Res.-Atmos., 92, 8483–8485, https://doi.org/10.1029/JD092iD07p08483, 1987. Blender, R. and Schubert, M.: Cyclone tracking in different spatial and temporal resolutions, Mon. Weather Rev., 128, 377–384, 2000. Blossey, P. N., Bretherton, C. S., Zhang, M. H., Cheng, A. N., Endo, S., Heus, T., Liu, Y. G., Lock, A. P., de Roode, S. R., and Xu, K. M.: Marine low cloud sensitivity to an idealized climate change: The CGILS LES intercomparison, J. Adv. Model. Earth Sy., 5, 234–258, https://doi.org/10.1002/jame.20025, 2013. Bodas-Salcedo, A.: Cloud Condensate and Radiative Feedbacks at Midlatitudes in an Aquaplanet, Geophys. Res. Lett., 45, 3635–3643, https://doi.org/10.1002/2018GL077217, 2018. Bodas-Salcedo, A., Williams, K. D., Ringer, M. A., Beau, I., Cole, J. N. S., Dufresne, J. L., Koshiro, T., Stevens, B., Wang, Z., and Yokohata, T.: Origins of the Solar Radiation Biases over the Southern Ocean in CFMIP2 Models, J. Climate, 27, 41–56, https://doi.org/10.1175/jcli-d-13-00169.1, 2014. Bodas-Salcedo, A., Andrews, T., Karmalkar, A. V., and Ringer, M. A.: Cloud liquid water path and radiative feedbacks over the Southern Ocean, Geophys. Res. Lett., 43, 10938–10946, https://doi.org/10.1002/2016GL070770, 2016. Bosilovich, M., Akella, S., Coy, L., Cullather, R., Draper, C., and Gelaro, R.: MERRA-2, Initial evaluation of the climate, Tech. Rep. Ser., Global Modeling and Data Assimilation, edited by: Koster, R. D., NASA/TM-2015-104606, 2015. Bretherton, C. S., Blossey, P. N., and Jones, C. R.: Mechanisms of marine low cloud sensitivity to idealized climate perturbations: A single-LES exploration extending the CGILS cases, J. Adv. Model. Earth Sy., 5, 316–337, https://doi.org/10.1002/jame.20019, 2013. Bretherton, C. S.: Insights into low-latitude cloud feedbacks from high-resolution models, Philos. T. Roy. Soc. A, 373, 20140415, 2015. Bretherton, C. S. and Blossey, P. N.: Low cloud reduction in a greenhouse-warmed climate: Results from Lagrangian LES of a subtropical marine cloudiness transition, J. Adv. Model. Earth Sy., 6, 91–114, https://doi.org/10.1002/2013MS000250, 2014. Caldwell, P. M., Zelinka, M. D., Taylor, K. E., and Marvel, K.: Quantifying the Sources of Intermodel Spread in Equilibrium Climate Sensitivity, J. Climate, 29, 513–524, https://doi.org/10.1175/jcli-d-15-0352.1, 2016. Catto, J. L.: Extratropical cyclone classification and its use in climate studies, Rev. Geophys., 54, 486–520, https://doi.org/10.1002/2016RG000519, 2016. Catto, J. L., Shaffrey, L. C., and Hodges, K. I.: Can climate models capture the structure of extratropical cyclones?, J. Climate, 23, 1621–1635, 2010. Ceppi, P., Hartmann, D. L., and Webb, M. J.: Mechanisms of the Negative Shortwave Cloud Feedback in Middle to High Latitudes, J. Climate, 29, 139–157, https://doi.org/10.1175/JCLI-D-15-0327.1, 2016a. Ceppi, P., McCoy, D. T., and Hartmann, D. L.: Observational evidence for a negative shortwave cloud feedback in middle to high latitudes, Geophys. Res. Lett., 43, 1331–1339, https://doi.org/10.1002/2015gl067499, 2016b. 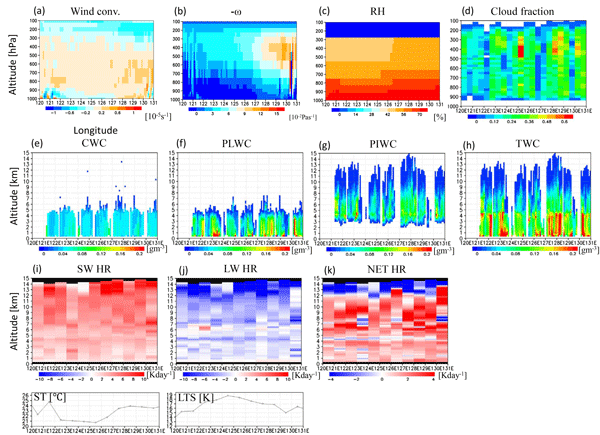 Cheng, A. N., Xu, K. M., Hu, Y. X., and Kato, S.: Impact of a cloud thermodynamic phase parameterization based on CALIPSO observations on climate simulation, J. Geophys. Res.-Atmos., 117, 15, https://doi.org/10.1029/2011jd017263, 2012. Choi, Y. S., Ho, C. H., Park, C. E., Storelvmo, T., and Tan, I.: Influence of cloud phase composition on climate feedbacks, J. Geophys. Res.-Atmos., 119, 3687–3700, 2014. Chubb, T. H., Jensen, J. 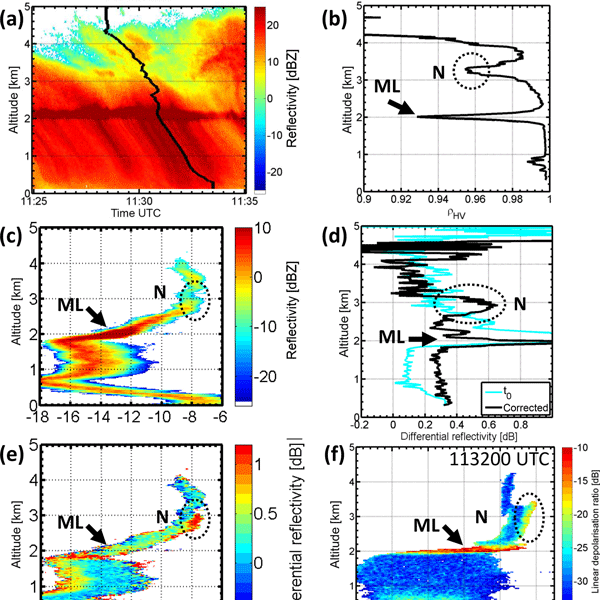 B., Siems, S. T., and Manton, M. J.: In situ observations of supercooled liquid clouds over the Southern Ocean during the HIAPER Pole-to-Pole Observation campaigns, Geophys. Res. Lett., 40, 5280–5285, https://doi.org/10.1002/grl.50986, 2013. Clement, A. C., Burgman, R., and Norris, J. R.: Observational and Model Evidence for Positive Low-Level Cloud Feedback, Science, 325, 460–464, 2009. Doelling, D. R., Haney, C. O., Scarino, B. R., Gopalan, A., and Bhatt, R.: Improvements to the Geostationary Visible Imager Ray-Matching Calibration Algorithm for CERES Edition 4, J. Atmos. Ocean. Tech., 33, 2679–2698, https://doi.org/10.1175/jtech-d-16-0113.1, 2016. Donelan, M. A., Haus, B. K., Reul, N., Plant, W. J., Stiassnie, M., Graber, H. C., Brown, O. B., and Saltzman, E. S.: On the limiting aerodynamic roughness of the ocean in very strong winds, Geophys. Res. Lett., 31, L18306, https://doi.org/10.1029/2004GL019460, 2004. 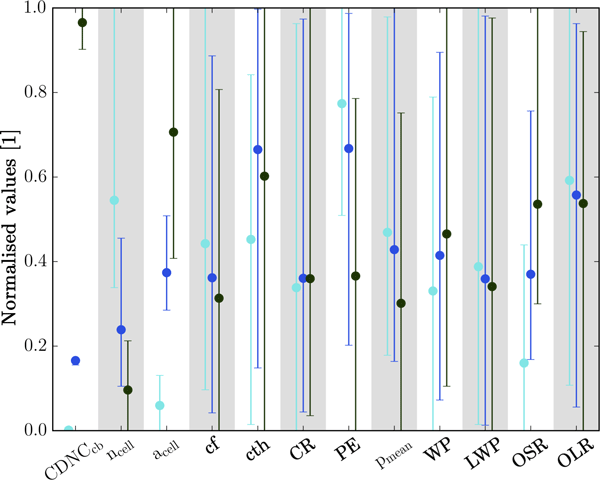 Dufresne, J.-L., Foujols, M.-A., Denvil, S., Caubel, A., Marti, O., Aumont, O., Balkanski, Y., Bekki, S., Bellenger, H., and Benshila, R.: Climate change projections using the IPSL-CM5 Earth System Model: from CMIP3 to CMIP5, Clim. Dynam., 40, 2123–2165, 2013. Eckhardt, S., Stohl, A., Wernli, H., James, P., Forster, C., and Spichtinger, N.: A 15-Year Climatology of Warm Conveyor Belts, J. Climate, 17, 218–237, https://doi.org/10.1175/1520-0442(2004)017<0218:aycowc>2.0.co;2, 2004. Elsaesser, G. S., O'Dell, C. W., Lebsock, M. D., Bennartz, R., Greenwald, T. J., and Wentz, F. J.: The Multi-Sensor Advanced Climatology of Liquid Water Path (MAC-LWP), J. Climate, 30, 10193–10210, https://doi.org/10.1175/jcli-d-16-0902.1, 2017. Field, P. R. and Wood, R.: Precipitation and Cloud Structure in Midlatitude Cyclones, J. Climate, 20, 233–254, https://doi.org/10.1175/JCLI3998.1, 2007. 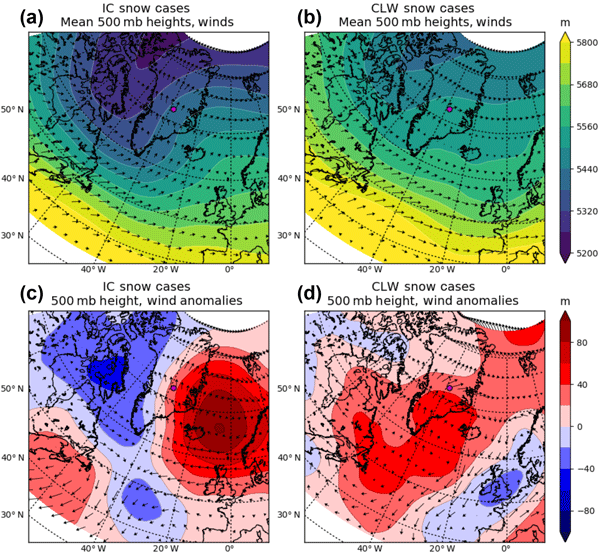 Field, P. R., Gettelman, A., Neale, R. B., Wood, R., Rasch, P. J., and Morrison, H.: Midlatitude Cyclone Compositing to Constrain Climate Model Behavior Using Satellite Observations, J. Climate, 21, 5887–5903, https://doi.org/10.1175/2008JCLI2235.1, 2008. Field, P. R., Bodas-Salcedo, A., and Brooks, M. E.: Using model analysis and satellite data to assess cloud and precipitation in midlatitude cyclones, Q. J. Roy. Meteor. Soc., 137, 1501–1515, https://doi.org/10.1002/qj.858, 2011. Field, P. R. and Heymsfield, A. J.: Importance of snow to global precipitation, Geophys. Res. Lett., 42, 9512–9520, https://doi.org/10.1002/2015GL065497, 2015. Field, P. R., Broz̆ková, R., Chen, M., Dudhia, J., Lac, C., Hara, T., Honnert, R., Olson, J., Siebesma, P., de Roode, S., Tomassini, L., Hill, A., and McTaggart-Cowan, R.: Exploring the convective grey zone with regional simulations of a cold air outbreak, Q. J. Roy. Meteor. Soc., 143, 2537–2555, https://doi.org/10.1002/qj.3105, 2017. Giorgetta, M. A., Brokopf, R., Crueger, T., Esch, M., Fiedler, S., Helmert, J., Hohenegger, C., Kornblueh, L., Köhler, M., and Manzini, E.: ICON-A, the atmosphere component of the ICON Earth System Model. Part I: Model Description, J. Adv. Model. Earth Sy., 10, 1613–1637, 2018. Gordon, N. D. and Klein, S. A.: Low-cloud optical depth feedback in climate models, J. Geophys. Res.-Atmos., 119, 6052–6065, https://doi.org/10.1002/2013JD021052, 2014. 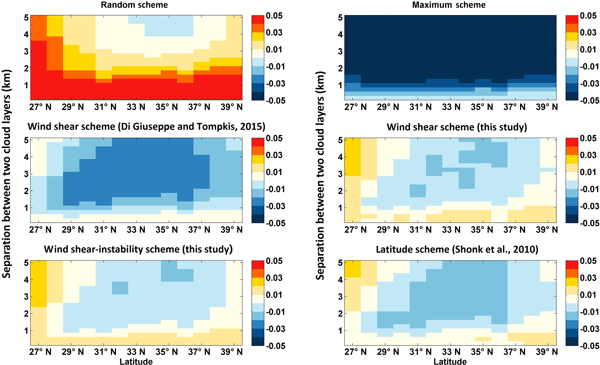 Grandey, B. S., Stier, P., Grainger, R. G., and Wagner, T. M.: The contribution of the strength and structure of extratropical cyclones to observed cloud-aerosol relationships, Atmos. Chem. Phys., 13, 10689–10701, https://doi.org/10.5194/acp-13-10689-2013, 2013. 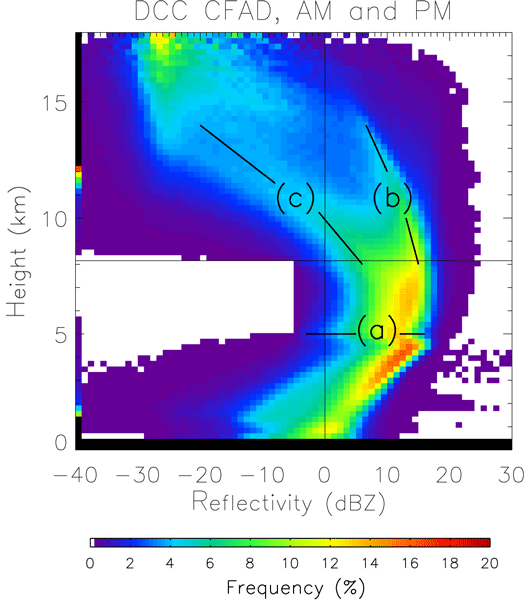 Greenwald, T. J., Bennartz, R., Lebsock, M., and Teixeira, J.: An Uncertainty Data Set for Passive Microwave Satellite Observations of Warm Cloud Liquid Water Path, J. Geophys. Res.-Atmos., 123, 3668–3687, https://doi.org/10.1002/2017jd027638, 2018. 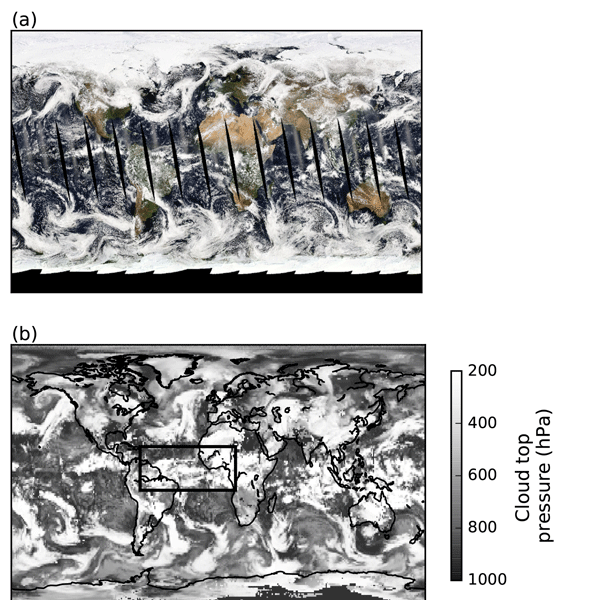 Grise, K. M. and Medeiros, B.: Understanding the Varied Influence of Midlatitude Jet Position on Clouds and Cloud Radiative Effects in Observations and Global Climate Models, J. Climate, 29, 9005–9025, https://doi.org/10.1175/jcli-d-16-0295.1, 2016. 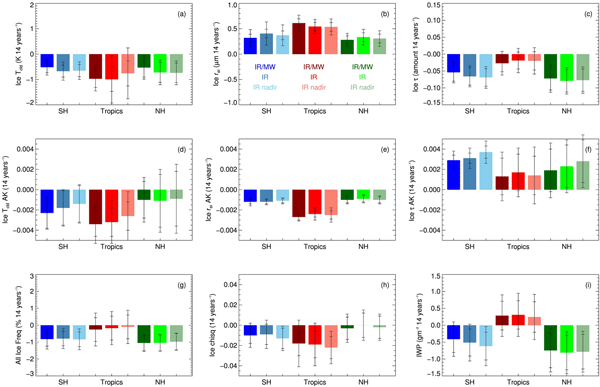 Grise, K. M., Polvani, L. M., and Fasullo, J. T.: Reexamining the Relationship between Climate Sensitivity and the Southern Hemisphere Radiation Budget in CMIP Models, J. Climate, 28, 9298–9312, https://doi.org/10.1175/JCLI-D-15-0031.1, 2015. Haarsma, R.: EC-Earth3.2.P – The PRIMAVERA version, in preparation, 2018. Hartmann, D. L. and Short, D. A.: On the Use of Earth Radiation Budget Statistics for Studies of Clouds and Climate, J. Atmos. Sci., 37, 1233–1250, https://doi.org/10.1175/1520-0469(1980)037<1233:OTUOER>2.0.CO;2, 1980. Heymsfield, A. J., Kennedy, P. C., Massie, S., Schmitt, C., Wang, Z., Haimov, S., and Rangno, A.: Aircraft-Induced Hole Punch and Canal Clouds: Inadvertent Cloud Seeding, B. Am. Meteorol. Soc., 91, 753–766, https://doi.org/10.1175/2009BAMS2905.1, 2009. Hill, A. A., Shipway, B. J., and Boutle, I. A.: How sensitive are aerosol-precipitation interactions to the warm rain representation?, J. Adv. Model. Earth Sy., 7, 987–1004, https://doi.org/10.1002/2014MS000422, 2015. Hoskins, B. J. and Hodges, K. I.: New perspectives on the Northern Hemisphere winter storm tracks, J. Atmos. Sci., 59, 1041–1061, 2002. Hu, Y. X., Rodier, S., Xu, K. M., Sun, W. B., Huang, J. P., Lin, B., Zhai, P. W., and Josset, D.: Occurrence, liquid water content, and fraction of supercooled water clouds from combined CALIOP/IIR/MODIS measurements, J. Geophys. Res.-Atmos., 115, D00H34, https://doi.org/10.1029/2009jd012384, 2010. Jiang, J. H., Su, H., Zhai, C., Perun, V. S., Del Genio, A., Nazarenko, L. S., Donner, L. J., Horowitz, L., Seman, C., Cole, J., Gettelman, A., Ringer, M. A., Rotstayn, L., Jeffrey, S., Wu, T., Brient, F., Dufresne, J.-L., Kawai, H., Koshiro, T., Watanabe, M., LÉcuyer, T. S., Volodin, E. M., Iversen, T., Drange, H., Mesquita, M. D. S., Read, W. G., Waters, J. W., Tian, B., Teixeira, J., and Stephens, G. L.: Evaluation of cloud and water vapor simulations in CMIP5 climate models using NASA “A-Train” satellite observations, J. Geophys. Res.-Atmos., 117, D14105, https://doi.org/10.1029/2011JD017237, 2012. Jin, H. and Nasiri, S. L.: Evaluation of AIRS cloud-thermodynamic-phase determination with CALIPSO, J. Appl. Meteorol. Clim., 53, 1012–1027, 2014. Jung, T., Gulev, S. K., Rudeva, I., and Soloviov, V.: Sensitivity of extratropical cyclone characteristics to horizontal resolution in the ECMWF model, Q. J. Roy. Meteor. Soc., 132, 1839–1857, https://doi.org/10.1256/qj.05.212, 2006. Kahn, B. H., Nasiri, S. L., Schreier, M. M., and Baum, B. A.: Impacts of subpixel cloud heterogeneity on infrared thermodynamic phase assessment, J. Geophys. Res.-Atmos., 116, D20201, https://doi.org/10.1029/2011JD015774, 2011. Kahn, B. H., Irion, F. W., Dang, V. T., Manning, E. M., Nasiri, S. L., Naud, C. M., Blaisdell, J. M., Schreier, M. M., Yue, Q., Bowman, K. W., Fetzer, E. J., Hulley, G. C., Liou, K. N., Lubin, D., Ou, S. C., Susskind, J., Takano, Y., Tian, B., and Worden, J. R.: The Atmospheric Infrared Sounder version 6 cloud products, Atmos. Chem. Phys., 14, 399–426, https://doi.org/10.5194/acp-14-399-2014, 2014. 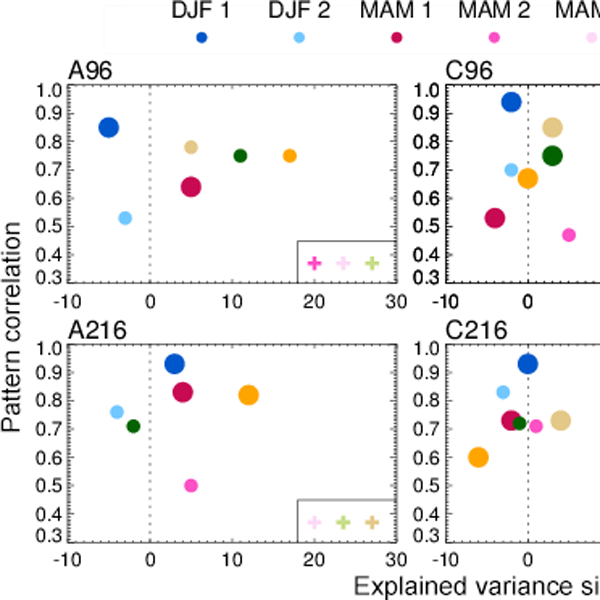 Kahn, B. H., Matheou, G., Yue, Q., Fauchez, T., Fetzer, E. J., Lebsock, M., Martins, J., Schreier, M. M., Suzuki, K., and Teixeira, J.: An A-train and MERRA view of cloud, thermodynamic, and dynamic variability within the subtropical marine boundary layer, Atmos. Chem. Phys., 17, 9451–9468, https://doi.org/10.5194/acp-17-9451-2017, 2017. Kanitz, T., Seifert, P., Ansmann, A., Engelmann, R., Althausen, D., Casiccia, C., and Rohwer, E. G.: Contrasting the impact of aerosols at northern and southern midlatitudes on heterogeneous ice formation, Geophys. Res. Lett., 38, L17802, https://doi.org/10.1029/2011gl048532, 2011. Klein, S. A. and Hartmann, D. L.: The Seasonal Cycle of Low Stratiform Clouds, J. Climate, 6, 1587–1606, https://doi.org/10.1175/1520-0442(1993)006<1587:tscols>2.0.co;2, 1993. Klein, S. A., Hartmann, D. L., and Norris, J. R.: On the Relationships among Low-Cloud Structure, Sea Surface Temperature, and Atmospheric Circulation in the Summertime Northeast Pacific, J. Climate, 8, 1140–1155, https://doi.org/10.1175/1520-0442(1995)008<1140:OTRALC>2.0.CO;2, 1995. Klein, S. A., Hall, A., Norris, J. R., and Pincus, R.: Low-Cloud Feedbacks from Cloud-Controlling Factors: A Review, Surv. Geophys., 38, 1307–1329, https://doi.org/10.1007/s10712-017-9433-3, 2017. 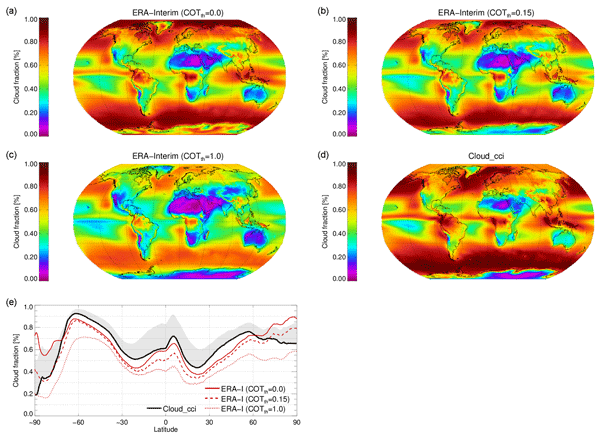 Kodama, C., Iga, S., and Satoh, M.: Impact of the sea surface temperature rise on storm-track clouds in global nonhydrostatic aqua planet simulations, Geophys. Res. Lett., 41, 3545–3552, https://doi.org/10.1002/2014GL059972, 2014. Kodama, C., Yamada, Y., Noda, A. T., Kikuchi, K., Kajikawa, Y., Nasuno, T., Tomita, T., Yamaura, T., Takahashi, H. G., Hara, M., Kawatani, Y., Satoh, M., and Sugi, M.: A 20-Year Climatology of a NICAM AMIP-Type Simulation, J. Meteorol. Soc. Jpn., 93, 393–424, https://doi.org/10.2151/jmsj.2015-024, 2015. Lambert, S. J. and Fyfe, J. C.: Changes in winter cyclone frequencies and strengths simulated in enhanced greenhouse warming experiments: results from the models participating in the IPCC diagnostic exercise, Clim. Dynam., 26, 713–728, 2006. Loeb, N. G., Wielicki, B. A., Doelling, D. R., Smith, G. L., Keyes, D. F., Kato, S., Manalo-Smith, N., and Wong, T.: Toward Optimal Closure of the Earth's Top-of-Atmosphere Radiation Budget, J. Climate, 22, 748–766, https://doi.org/10.1175/2008jcli2637.1, 2009. Löptien, U., Zolina, O., Gulev, S., Latif, M., and Soloviov, V.: Cyclone life cycle characteristics over the Northern Hemisphere in coupled GCMs, Clim. Dynam., 31, 507–532, 2008. Lorenz, D. J. and DeWeaver, E. T.: Tropopause height and zonal wind response to global warming in the IPCC scenario integrations, J. Geophys. Res.-Atmos., 112, D10119, https://doi.org/10.1029/2006JD008087, 2007. 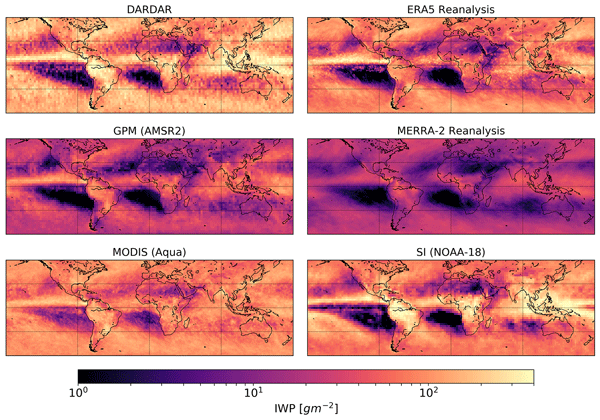 Manaster, A., O'Dell, C. W., and Elsaesser, G.: Evaluation of Cloud Liquid Water Path Trends Using a Multidecadal Record of Passive Microwave Observations, J. Climate, 30, 5871–5884, https://doi.org/10.1175/jcli-d-16-0399.1, 2017. McCoy, D. T., Hartmann, D. L., and Grosvenor, D. P.: Observed Southern Ocean Cloud Properties and Shortwave Reflection. Part II: Phase Changes and Low Cloud Feedback, J. Climate, 27, 8858–8868, https://doi.org/10.1175/jcli-d-14-00288.1, 2014. 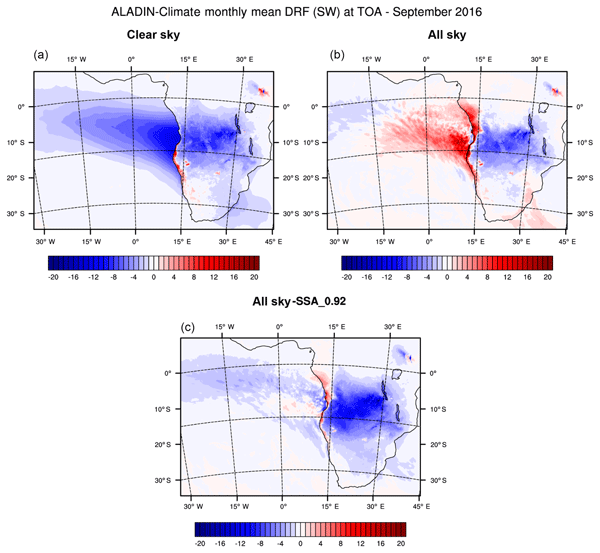 McCoy, D. T., Burrows, S. M., Wood, R., Grosvenor, D. P., Elliott, S. M., Ma, P. L., Rasch, P. J., and Hartmann, D. L.: Natural aerosols explain seasonal and spatial patterns of Southern Ocean cloud albedo, Sci. Adv., 1, e1500157, https://doi.org/10.1126/sciadv.1500157, 2015a. McCoy, D. T., Hartmann, D. L., Zelinka, M. D., Ceppi, P., and Grosvenor, D. P.: Mixed-phase cloud physics and Southern Ocean cloud feedback in climate models, J. Geophys. Res.-Atmos., 120, 9539–9554, https://doi.org/10.1002/2015jd023603, 2015b. McCoy, D. T., Tan, I., Hartmann, D. L., Zelinka, M. D., and Storelvmo, T.: On the relationships among cloud cover, mixed-phase partitioning, and planetary albedo in GCMs, J. Adv. Model. Earth Sy., 8, 650–668, https://doi.org/10.1002/2015ms000589, 2016. McCoy, D. T., Eastman, R., Hartmann, D. L., and Wood, R.: The Change in Low Cloud Cover in a Warmed Climate Inferred from AIRS, MODIS, and ERA-Interim, J. Climate, 30, 3609–3620, https://doi.org/10.1175/jcli-d-15-0734.1, 2017a. McCoy, D. T., Hartmann, D. L., and Zelinka, M. D.: Mixed-Phase Cloud Feedbacks in: Mixed-phase Clouds: Observations and Modeling, edited by: Andronache, C., Elsevier, 2017b. McCoy, D. T., Bender, F. A.-M., Grosvenor, D. P., Mohrmann, J. K., Hartmann, D. L., Wood, R., and Field, P. R.: Predicting decadal trends in cloud droplet number concentration using reanalysis and satellite data, Atmos. Chem. Phys., 18, 2035–2047, https://doi.org/10.5194/acp-18-2035-2018, 2018a. McCoy, D. T., Field, P. R., Schmidt, A., Grosvenor, D. P., Bender, F. A.-M., Shipway, B. J., Hill, A. A., Wilkinson, J. M., and Elsaesser, G. S.: Aerosol midlatitude cyclone indirect effects in observations and high-resolution simulations, Atmos. Chem. Phys., 18, 5821–5846, https://doi.org/10.5194/acp-18-5821-2018, 2018b. McCoy, I. L., Wood, R., and Fletcher, J. K.: Identifying Meteorological Controls on Open and Closed Mesoscale Cellular Convection Associated with Marine Cold Air Outbreaks, J. Geophys. Res.-Atmos., 122, 11678–11702, https://doi.org/10.1002/2017JD027031, 2017c. Mears, C., Smith, D. K., and Wentz, F. J.: Comparison of special sensor microwave imager and buoy-measured wind speeds from 1987 to 1997, J. Geophys. Res.-Oceans., 106, 11719–11729, 2001. Meissner, T., Smith, D., and Wentz, F.: A 10 year intercomparison between collocated Special Sensor Microwave Imager oceanic surface wind speed retrievals and global analyses, J. Geophys. Res.-Oceans., 106, 11731–11742, 2001. Morrison, H., de Boer, G., Feingold, G., Harrington, J., Shupe, M. D., and Sulia, K.: Resilience of persistent Arctic mixed-phase clouds, Nat. Geosci., 5, 11–17, https://doi.org/10.1038/ngeo1332, 2011. Myers, T. A. and Norris, J. R.: On the Relationships between Subtropical Clouds and Meteorology in Observations and CMIP3 and CMIP5 Models, J. Climate, 28, 2945–2967, https://doi.org/10.1175/JCLI-D-14-00475.1, 2015. 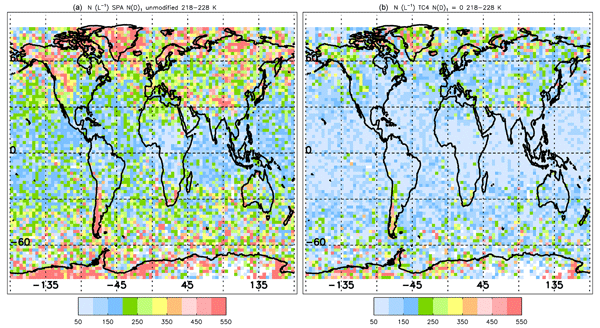 Myers, T. A. and Norris, J. R.: Reducing the uncertainty in subtropical cloud feedback, Geophys. Res. Lett., 43, 2144–2148, https://doi.org/10.1002/2015GL067416, 2016. Nasiri, S. L. and Kahn, B. H.: Limitations of bispectral infrared cloud phase determination and potential for improvement, J. Appl. Meteorol. Clim., 47, 2895–2910, 2008. Naud, C. M. and Kahn, B. H.: Thermodynamic Phase and Ice Cloud Properties in Northern Hemisphere Winter Extratropical Cyclones Observed by Aqua AIRS, J. Appl. Meteorol. Clim., 54, 2283–2303, https://doi.org/10.1175/jamc-d-15-0045.1, 2015. Naud, C. M., Del Genio, A. D., and Bauer, M.: Observational constraints on the cloud thermodynamic phase in midlatitude storms, J. Climate, 19, 5273–5288, 10.1175/jcli3919.1, 2006. 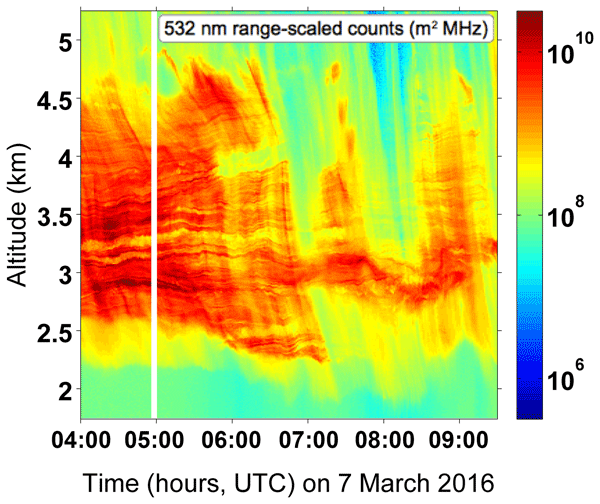 Naud, C. M., Posselt, D. J., and van den Heever, S. C.: Aerosol optical depth distribution in extratropical cyclones over the Northern Hemisphere oceans, Geophys. Res. Lett., 43, 10504–510511, https://doi.org/10.1002/2016GL070953, 2016. Naud, C. M., Posselt, D. J., and van den Heever, S. C.: Observed Covariations of Aerosol Optical Depth and Cloud Cover in Extratropical Cyclones, J. Geophys. Res.-Atmos., 122, 10338–310356, https://doi.org/10.1002/2017JD027240, 2017. Naud, C. M., Booth, J. F., Lebsock, M., and Grecu, M.: Observational Constraint for Precipitation in Extratropical Cyclones: Sensitivity to Data Sources, J. Appl. Meteorol. Clim., 57, 991–1009, https://doi.org/10.1175/jamc-d-17-0289.1, 2018. Norris, J. R. and Iacobellis, S. F.: North Pacific Cloud Feedbacks Inferred from Synoptic-Scale Dynamic and Thermodynamic Relationships, J. Climate, 18, 4862–4878, https://doi.org/10.1175/jcli3558.1, 2005. Norris, J. R., Allen, R. J., Evan, A. T., Zelinka, M. D., O'Dell, C. W., and Klein, S. A.: Evidence for climate change in the satellite cloud record, Nature, 536, 72–75, https://doi.org/10.1038/nature18273, 2016. Pfahl, S. and Sprenger, M.: On the relationship between extratropical cyclone precipitation and intensity, Geophys. Res. Lett., 43, 1752–1758, https://doi.org/10.1002/2016GL068018, 2016. 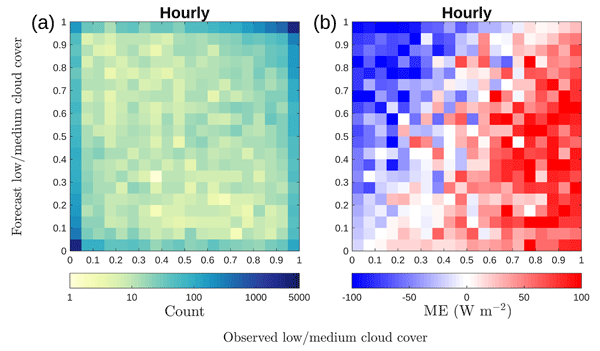 Qu, X., Hall, A., Klein, S. A., DeAngelis, and Anthony, M.: Positive tropical marine low-cloud cover feedback inferred from cloud-controlling factors, Geophys. Res. Lett., 42, 7767–7775, https://doi.org/10.1002/2015GL065627, 2015. 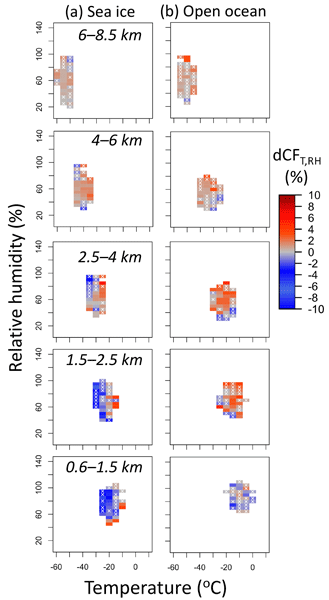 Rieck, M., Nuijens, L., and Stevens, B.: Marine Boundary Layer Cloud Feedbacks in a Constant Relative Humidity Atmosphere, J. Atmos. Sci., 69, 2538–2550, https://doi.org/10.1175/JAS-D-11-0203.1, 2012. Roehrig, R.: CMIP 6, available at: http://www.umr-cnrm.fr/cmip6/references, last access: January 2019. Shaw, T. A., Baldwin, M., Barnes, E. A., Caballero, R., Garfinkel, C. I., Hwang, Y. T., Li, C., O'Gorman, P. A., Rivière, G., Simpson, I. R., and Voigt, A.: Storm track processes and the opposing influences of climate change, Nat. Geosci., 9, 656–664, https://doi.org/10.1038/ngeo2783, 2016. Sinclair, M. R.: An objective cyclone climatology for the Southern Hemisphere, Mon. Weather Rev., 122, 2239–2256, 1994. 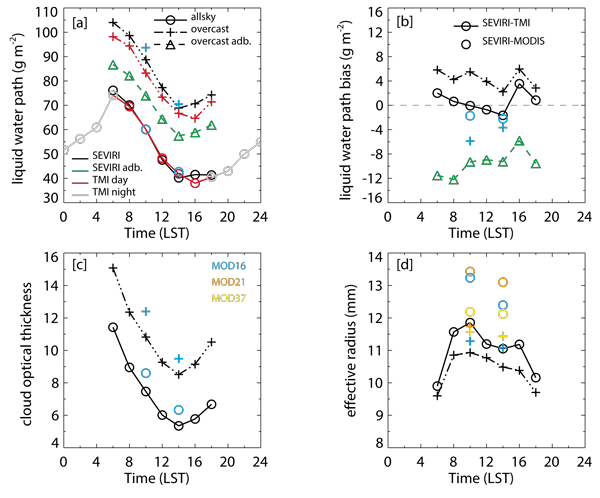 Soloviev, A. V., Lukas, R., Donelan, M. A., Haus, B. K., and Ginis, I.: The air-sea interface and surface stress under tropical cyclones, Sci. Rep., 4, 5306, https://doi.org/10.1038/srep05306, 2014. Strachan, J., Vidale, P. L., Hodges, K., Roberts, M., and Demory, M.-E.: Investigating Global Tropical Cyclone Activity with a Hierarchy of AGCMs: The Role of Model Resolution, J. Climate, 26, 133–152, https://doi.org/10.1175/jcli-d-12-00012.1, 2013. Tamarin, T. and Kaspi, Y.: The poleward shift of storm tracks under global warming: A Lagrangian perspective, Geophys. Res. Lett., 44, 10666–10674, 2017. Tamarin-Brodsky, T. and Kaspi, Y.: Enhanced poleward propagation of storms under climate change, Nat. Geosci., 10, 908–913, https://doi.org/10.1038/s41561-017-0001-8, 2017. 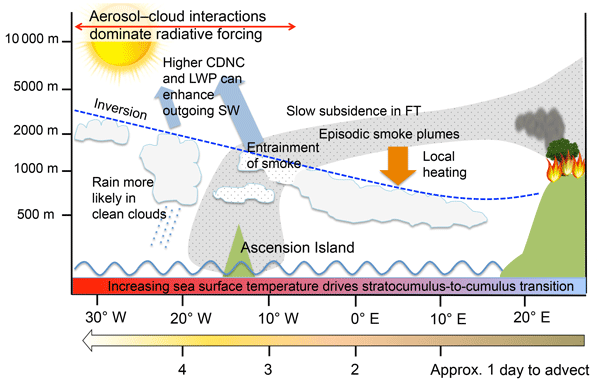 Tan, I., Storelvmo, T., and Choi, Y.-S.: Spaceborne lidar observations of the ice-nucleating potential of dust, polluted dust, and smoke aerosols in mixed-phase clouds, J. Geophys. Res.-Atmos., 119, 6653–6665, https://doi.org/10.1002/2013JD021333, 2014. 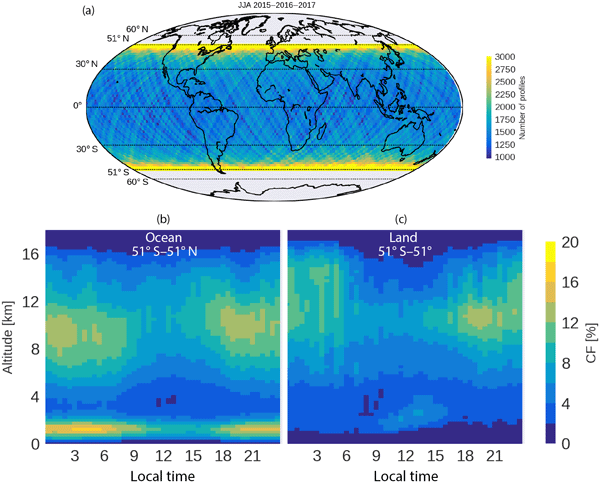 Terai, C. R., Klein, S. A., and Zelinka, M. D.: Constraining the low-cloud optical depth feedback at middle and high latitudes using satellite observations, J. Geophys. Res.-Atmos., 121, 9696–9716, https://doi.org/10.1002/2016JD025233, 2016. The HadGEM2 Development Team: Martin, G. M., Bellouin, N., Collins, W. J., Culverwell, I. D., Halloran, P. R., Hardiman, S. C., Hinton, T. J., Jones, C. D., McDonald, R. E., McLaren, A. J., O'Connor, F. M., Roberts, M. J., Rodriguez, J. M., Woodward, S., Best, M. J., Brooks, M. E., Brown, A. R., Butchart, N., Dearden, C., Derbyshire, S. H., Dharssi, I., Doutriaux-Boucher, M., Edwards, J. M., Falloon, P. D., Gedney, N., Gray, L. J., Hewitt, H. T., Hobson, M., Huddleston, M. R., Hughes, J., Ineson, S., Ingram, W. J., James, P. M., Johns, T. C., Johnson, C. E., Jones, A., Jones, C. P., Joshi, M. M., Keen, A. B., Liddicoat, S., Lock, A. P., Maidens, A. V., Manners, J. C., Milton, S. F., Rae, J. G. L., Ridley, J. K., Sellar, A., Senior, C. A., Totterdell, I. J., Verhoef, A., Vidale, P. L., and Wiltshire, A.: The HadGEM2 family of Met Office Unified Model climate configurations, Geosci. Model Dev., 4, 723–757, https://doi.org/10.5194/gmd-4-723-2011, 2011. Titchner, H., A. and Rayner, N., A.: The Met Office Hadley Centre sea ice and sea surface temperature data set, version 2: 1. Sea ice concentrations, J. Geophys. Res.-Atmos., 119, 2864–2889, https://doi.org/10.1002/2013JD020316, 2014. Trenberth, K. E. and Fasullo, J. T.: Simulation of Present-Day and Twenty-First-Century Energy Budgets of the Southern Oceans, J. Climate, 23, 440–454, https://doi.org/10.1175/2009jcli3152.1, 2010. Tselioudis, G. and Rossow, W. B.: Climate feedback implied by observed radiation and precipitation changes with midlatitude storm strength and frequency, Geophys. Res. Lett., 33, L02704, https://doi.org/10.1029/2005GL024513, 2006. Tsushima, Y., Emori, S., Ogura, T., Kimoto, M., Webb, M. J., Williams, K. D., Ringer, M. A., Soden, B. J., Li, B., and Andronova, N.: Importance of the mixed-phase cloud distribution in the control climate for assessing the response of clouds to carbon dioxide increase: a multi-model study, Clim. Dynam., 27, 113–126, https://doi.org/10.1007/s00382-006-0127-7, 2006. Ulbrich, U., Leckebusch, G., and Pinto, J. G.: Extra-tropical cyclones in the present and future climate: a review, Theor. Appl. Climatol., 96, 117–131, 2009. Voigt, A., Stevens, B., Bony, S., and Boucher, O.: Easy Aerosol – a modeling framework to study robustness and sources of uncertainties in aerosol-induced changes of the large-scale atmospheric circulation, WCRP, 2014. Voldoire, A., Sanchez-Gomez, E., Salas y Mélia, D., Decharme, B., Cassou, C., Sénési, S., Valcke, S., Beau, I., Alias, A., Chevallier, M., Déqué, M., Deshayes, J., Douville, H., Fernandez, E., Madec, G., Maisonnave, E., Moine, M. P., Planton, S., Saint-Martin, D., Szopa, S., Tyteca, S., Alkama, R., Belamari, S., Braun, A., Coquart, L., and Chauvin, F.: The CNRM-CM5.1 global climate model: description and basic evaluation, Clim. Dynam., 40, 2091–2121, https://doi.org/10.1007/s00382-011-1259-y, 2013. Watanabe, M., Suzuki, T., O'ishi, R., Komuro, Y., Watanabe, S., Emori, S., Takemura, T., Chikira, M., Ogura, T., and Sekiguchi, M.: Improved climate simulation by MIROC5: mean states, variability, and climate sensitivity, J. Climate, 23, 6312–6335, 2010. Wentz, F. J.: A 17-yr climate record of environmental parameters derived from the Tropical Rainfall Measuring Mission (TRMM) Microwave Imager, J. Climate, 28, 6882–6902, 2015. Wielicki, B. A., Barkstrom, B. R., Harrison, E. F., Robert III, B. L., Smith, G. L., and Cooper, J. E.: Clouds and the Earth's Radiant Energy System (CERES): An Earth Observing System Experiment, B. Am. Meteorol. Soc., 77, 853–868, https://doi.org/10.1175/1520-0477(1996)077<0853:catere>2.0.co;2, 1996. Williams, K., Copsey, D., Blockley, E., Bodas-Salcedo, A., Calvert, D., Comer, R., Davis, P., Graham, T., Hewitt, H., and Hill, R.: The Met Office global coupled model 3.0 and 3.1 (GC3. 0 and GC3. 1) configurations, J. Adv. Model. Earth Sy., 10, 357–380, 2018. Wood, R. and Bretherton, C. S.: On the relationship between stratiform low cloud cover and lower-tropospheric stability, J. Climate, 19, 6425–6432, https://doi.org/10.1175/jcli3988.1, 2006. 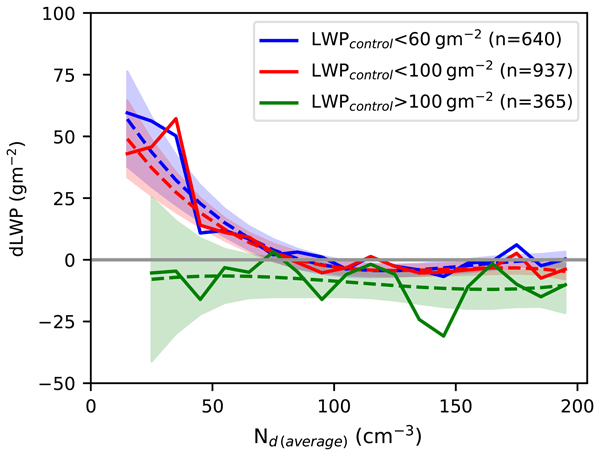 Wood, R., Kubar, T. L., and Hartmann, D. L.: Understanding the Importance of Microphysics and Macrophysics for Warm Rain in Marine Low Clouds. Part II: Heuristic Models of Rain Formation, J. Atmos. Sci., 66, 2973–2990, https://doi.org/10.1175/2009jas3072.1, 2009. Zelinka, M. D., Klein, S. A., and Hartmann, D. L.: Computing and Partitioning Cloud Feedbacks Using Cloud Property Histograms. Part II: Attribution to Changes in Cloud Amount, Altitude, and Optical Depth, J. Climate, 25, 3736–3754, https://doi.org/10.1175/jcli-d-11-00249.1, 2012a. Zelinka, M. D., Klein, S. A., and Hartmann, D. L.: Computing and Partitioning Cloud Feedbacks Using Cloud Property Histograms. Part I: Cloud Radiative Kernels, J. Climate, 25, 3715–3735, https://doi.org/10.1175/jcli-d-11-00248.1, 2012b. Zelinka, M. D., Klein, S. A., Taylor, K. E., Andrews, T., Webb, M. J., Gregory, J. M., and Forster, P. M.: Contributions of Different Cloud Types to Feedbacks and Rapid Adjustments in CMIP5, J. Climate, 26, 5007–5027, https://doi.org/10.1175/jcli-d-12-00555.1, 2013. Zelinka, M. D., Zhou, C., and Klein, S. A.: Insights from a refined decomposition of cloud feedbacks, Geophys. Res. Lett., 43, 9259–9269, https://doi.org/10.1002/2016GL069917, 2016.